Rimouski Oceanic (QMJHL) Late 90's jerseys? I'm new here, so forgive me if this is in the wrong place, but does anyone know of someone/somewhere to get older Q jerseys from? 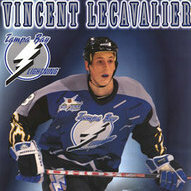 I've been a lightning fan since the early 2000's and I have usually focused on NHL jerseys, so I've only recently discovered the beauty of some of these junior team's older jerseys. More specifically, Rimouski's from the late 90's. Any help is appreciated.